On September 15th, 2018, Sir Adam Makandro, fighting for the honor of The Honorable Lady Stæina Hálfdanardóttir, was victorious in Caid Crown Tourney over Duke Patrick O'Malley of Ulidia. 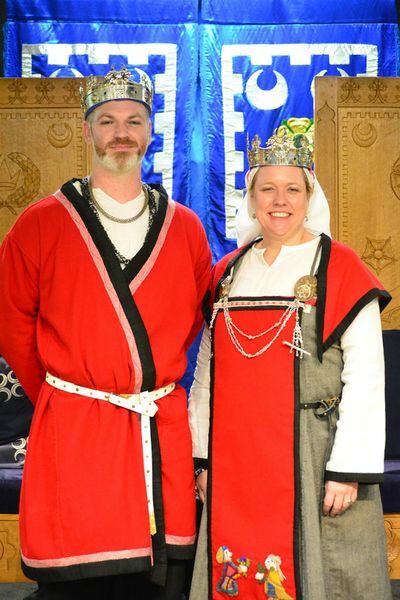 Their Coronation took place on 01/05/2019 at Kingdom 12th Night & Winter Coronation 2019. This page was last modified on 4 March 2019, at 18:14.